You may already have a site evaluation for your house. You can find this out by visiting TahoeBMP.org then clicking BMP Database and entering your address. Or if you want a BMP site evaluation for your private residence Tieslau Excavating can design one for a cost of $200.00. this fee will be deducted from your bid if you decide to have Tieslau Excavating to do the work. Another option is to get on the list for a free BMP site evaluation. Although the wait time is typically about three months. 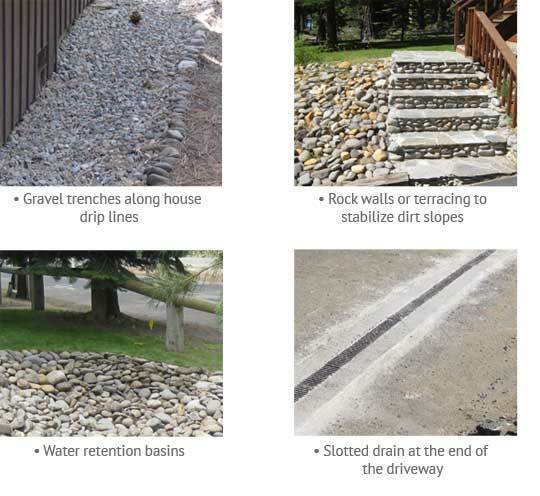 BMP's, Best Management Practices, are required by TRPA for every home and property in the Tahoe Basin. All precipitation that falls on one's house and property must remain on the property and any erosion must be halted. If you have any questions feel free to send us a message by going to the contact page Bids are free!